The Keep Antibiotics Effective Act has passed both chambers and is on Governor Hogan's desk. This bill clarifies definitions for prophylactic use of antibiotics in farm animals. We are thrilled that the Department of Agriculture recently updated their regulations to align with the updated law. Septic systems are a growing problem in Maryland, but the state has taken a hands-off approach that allows septic systems to pollute our groundwater. Two of our septic-related bills have passed, including a definition of a failing septic system and the requirement that large volumes of water from home water treatment systems be flushed into septic systems, leading to premature failure and improperly treated waste reaching ground and surface water. Public Notification for Wastewater Overflows and Bypasses is also on the governor's desk for signing! 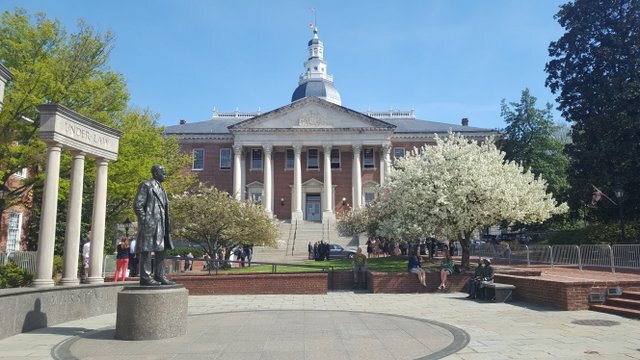 While not a bill we anticipated before legislative session, Delegate Hill of Baltimore and Howard counties alerted us to HB417, her bill to improve public notification when a wastewater overflow happens. We quickly alerted our network of local watershed and other environmental groups and worked out some amendments to make that notification more accessible to people who recreate and interact with Maryland waterways. The chlorpyrifos ban failed to move forward in the Senate. You can read the coalition's statement here and listen to the Environment in Focus for an excellent synopsis. Chlorpyrifos is a dangerous pesticide that was about to be banned by the EPA before the Trump Administration. Largely used on orchards and golf courses, chlorpyrifos is not safe at any level and is banned in many countries. It has been banned already in residential homes. The Clean Energy Jobs Act was amended in the House Economic Matters committee to include subsidies for burning trash for energy, which is what the General Assembly passed. Burning trash for energy is incredibly polluting, with a significant price tag for associated health issues. You can read our statement here. The Environment in Focus also highlighted this issue in this week's episode.